Twistshake Click Mat & Plate is an innovative feeding accessory that aims to make feeding time with your little one a lot easier, more productive and a lot more fun! The plate attaches with just a click, and the mat will easily stick to tables and highchairs. Why should I choose the Twistshake Click Mat & Plate? 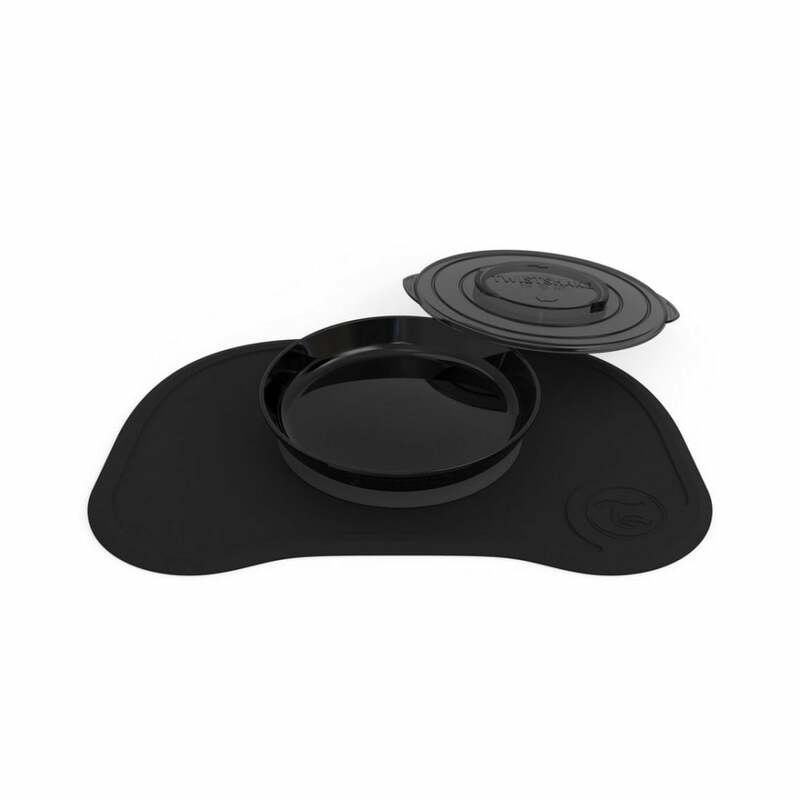 The Click Mat & Plate has been developed by Twistshake to make feeding time a lot easier for parents. Twistshake's Click Plate & Mat brings an end to throwing bowls full of food onto the floor, as the plate effortlessly attaches to the Click Mat. The plate even comes with a smart lid, which conveniently helps to transform the plate into a lunch box! Simply click and attach the mat to highchairs and tables to create a smart and safe for your little ones to make a mess whilst they eat, all without being able to move anything. Afterwards, just simply pop the mat off the table and wipe clean!